The traditional farming village of Tersefanou is now becoming a focal point for property development, tourism and golf in Cyprus. Chosen as the proposed site for Larnaca's first 18-hole, competition standard, golf course, Tersefanou is gradually progressing to merge its new image and traditional charm. 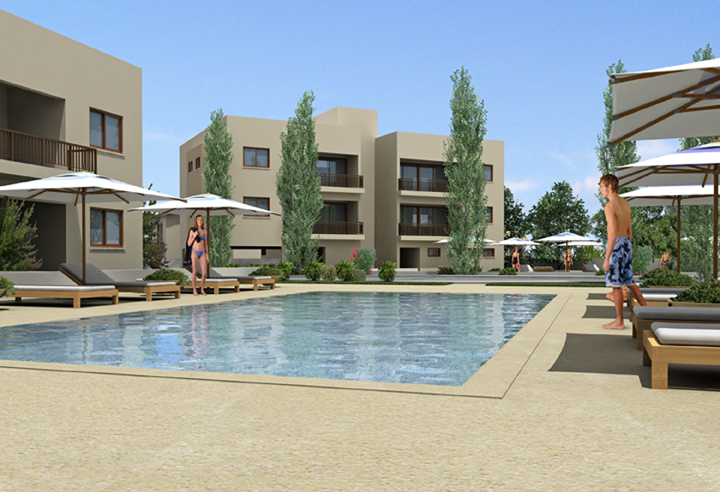 Chosen for its strategic location, Tersefanou is perfectly situated only 8kms from Larnaca’s new International Airport and the highway network serving the rest of the island. 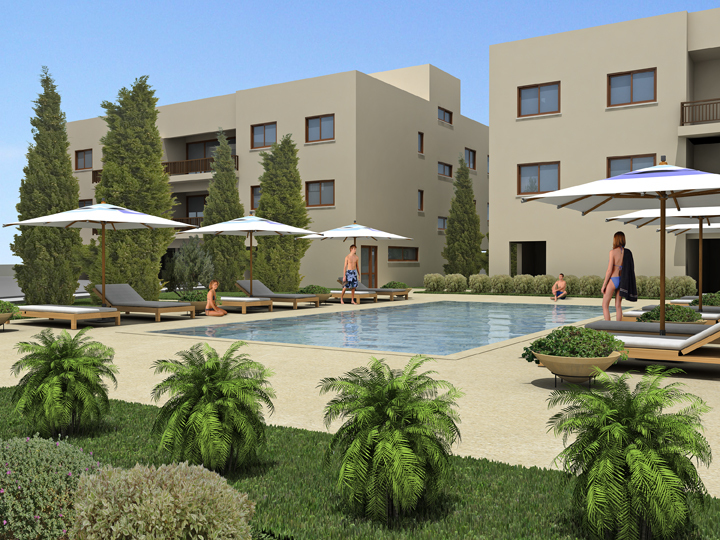 Tersefanou Village 2 is perched on a hill-side plateau directly overlooking the golf course on one side whilst offering sea views on the other side. This expansive 18,000sqm of prime residential land has been carefully designed to host a spectacular self-contained development, incorporating luxury living and excellent leisure facilities. 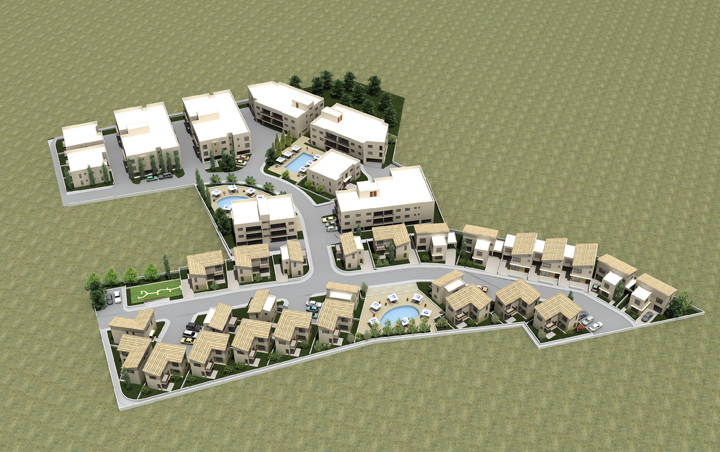 An internal private road leads to the 8 low-rise apartment blocks and 26 villas. 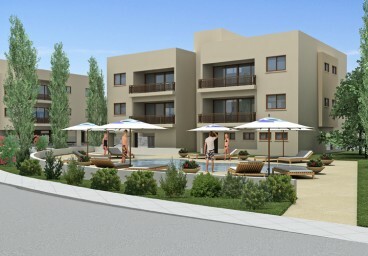 The 8 apartment blocks will contain a total of 80 units; 28 one-bedroom, 50 two-bedroom and 2 three-bedroom apartments. Each apartment will have an allocated parking space. 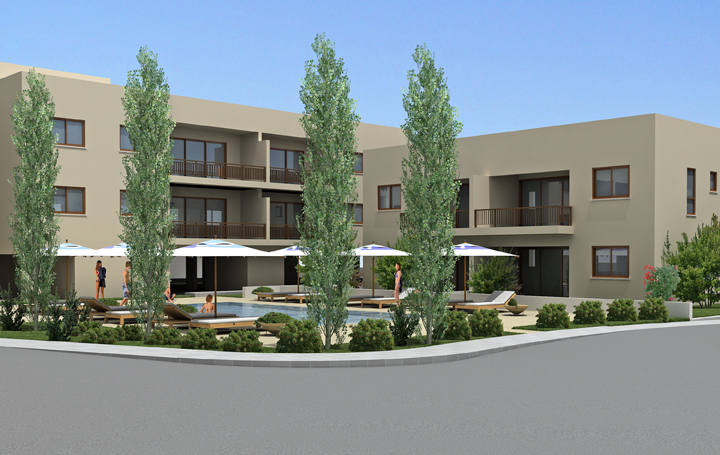 There will be 7 three- bedroom and 19 two-bedroom villas all with private, landscaped gardens, spacious ground floor patios and master bedroom balconies overlooking the golfing greens. All properties will be finished with Italian kitchens, high quality bathrooms and air-conditioning in all bedrooms and living areas. 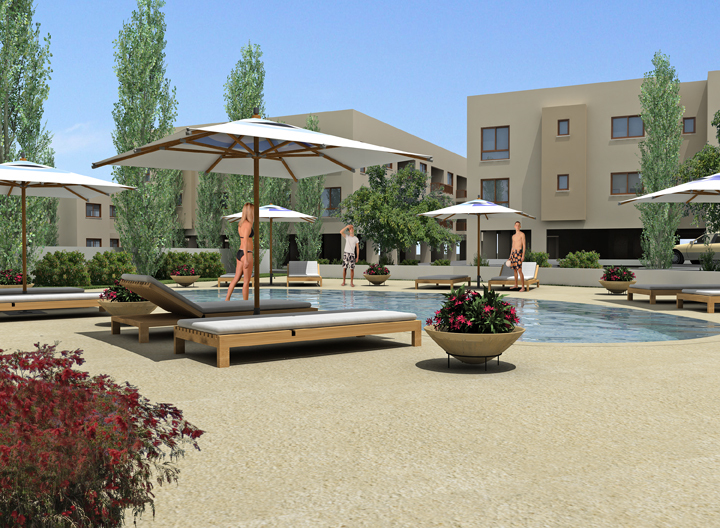 Within the boundaries of the complex residents will be able to enjoy three swimming pools and a children’s pool; all with communal sun beds, parasols and changing facilities. Residents can also practice and teach the youngsters to play golf on the mini golf course, use the in-house gym or jog along the 360m internal pathways. Tersefanou Village 2 offers the perfect base for golfers and holiday makers alike to appreciate the local amenities all year round.